Traslation by Julio Cesar Guerrero. Oaxaca, a state in the South of Mexico, is world-renowned for its gastronomy, culture, and tradition. All traits that have carried on in the local community of Oaxacans in Grand Rapids. Delfina Parada Martínez, 46 of Grand Rapids, explains how the local Oaxacan community supports itself in exile. There is a need, she says, to reinforce the roots and cultural identity of Oaxaca and to continue their legacy with the new generations. Devotion to the Virgin of the Nativity is important in Santa María Zoquitlán Tlacolula de Matamoros, Parada Martínez's hometown in Oaxaca. Every September, the local church prays a novena–a traditional nine day period of devotion in the Catholic Church–where groups of young people serenade the Virgin. The local community continues this tradition here in Grand Rapids, with a nostalgia for their land and what they left behind. The celebration ends in a reception where the whole community shares traditional food and regional dances. The spirit of solidarity amongst Grand Rapids' Oaxacan community is present in both good times and bad. At funerals, many gather together to support the family during nine days of prayer. They help prepare meals for those who attend the mourning. They also come together for Quinceañeras–formal parties celebrating the 15th birthday of girls in the community. At Quinceañeras, they bring more food and help with all the other preparations involved in running a gala that can run for more than a day. 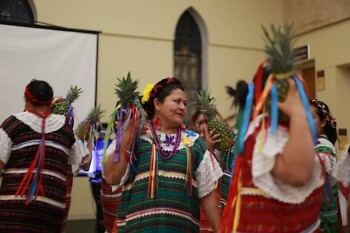 The success of the local novena has inspired more cultural activities among the Oaxacan community in Grand Rapids. Young people in the community have formed musical group to carry on the music of their ancestors. Another example is The Zoquitecas, a dance group that honors the Guelaguetza, a call to celebrate the Virgin of the Nativity. Carolina Sánchez teaches a 15 member group the ritual dance typical of the women of Oaxaca. 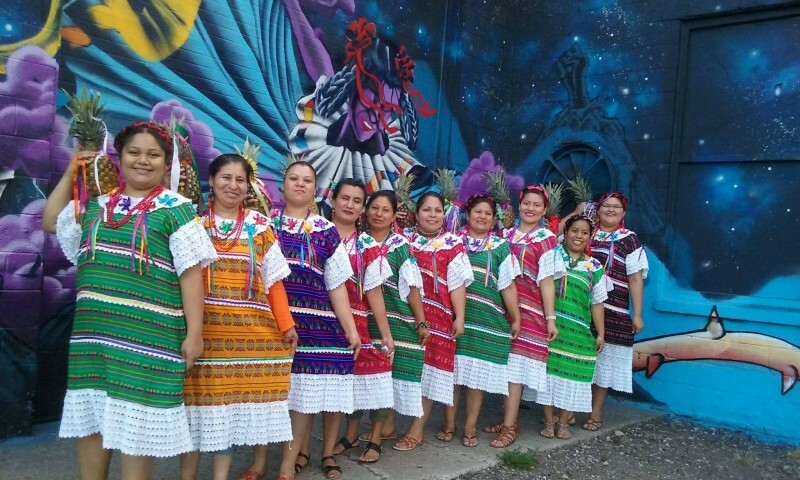 Sánchez says that the group has applied to perform at this year's Festival of the Arts in June, and are hopeful that they will be able to expand the cultural diversity of the festival by performing the beautiful traditional dance of Oaxaca. 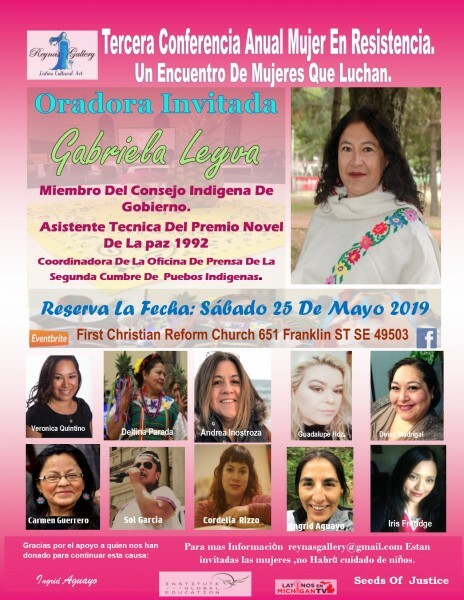 The Zoquitecas are also invited to perform at the opening event of the third annual Conferencia Mujeres en Resistencia (Women In Resistance conference), scheduled to take place on May 25th in Grand Rapids. The conference organized the event, Women United in the Struggle, to support migrant women in our community. More than 100 women from Michigan, the Midwest, and beyond are expected to take part in the conference. Invited guests include a member of the Indigenous Council of the Mexican Government, who brings a special message to migrant women. Local artist and activist Reyna Garcia is co-founder and lead coordinator of the conference. She believes that the local Oaxacan community enriches Grand Rapids culture by celebrating Oaxacan and Mexican traditional legacy. She recognizes The Zoquitecas as a hard-working organization of women and a cultural asset in our local community. In addition to The Zoquitecas, the conference will feature examples of Oaxaca’s rich legacy through traditional food, music, and the exquisite cultural touch of woman in our community who represent a bridge between the region and here. The conference celebrates Oaxaca's cultural legacy in a time where the profile of the region has risen internationally due to the breakout performance of Yalitza Aparico in Alfonso Cuaron's film Roma. People like Aparico, a young indigenous Oaxacan, help spread the message of what Oaxaca represents around the world and here in Grand Rapids. The third annual Women in Resistance conference hopes to continue that momentum.